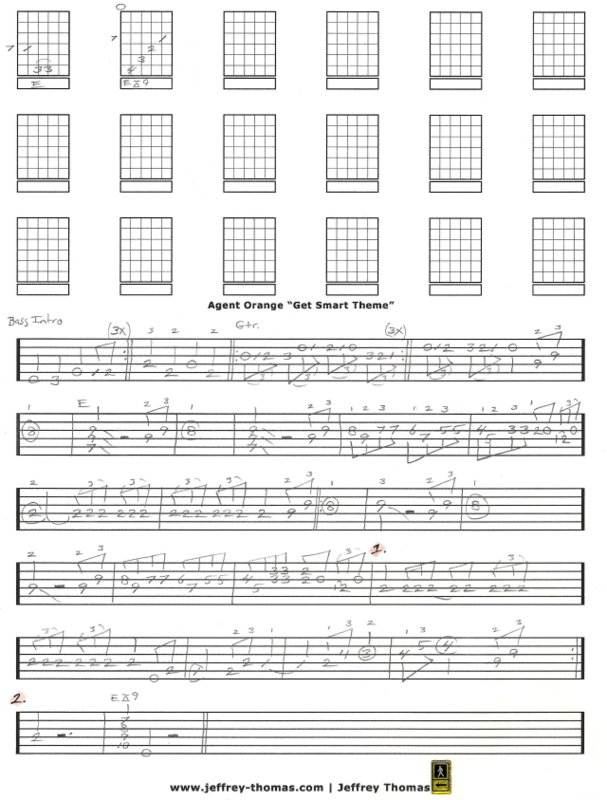 Learn to play The Get Smart Theme as played by Agent Orange with my free guitar tab. This tab follows the punk rock version of the classic Tv theme starting with the bass intro then into the guitar melody. All the song structure is notated so you can sound just like the recording. Many of my guitar students enjoy playing the cool tune. Want the full guitar tab for free? Just send me your email address using the form provided and I’ll send it to you. Looking for online guitar lessons? Fill out the Schedule A Free Lesson form to set up your free Skype guitar lesson today. I hope you enjoyed my Get Smart guitar tab played in a punk style by Agent Orange. Also check out the original version from which has great “Spy Style” guitar playing. Have a look at more free online guitar lessons on my tab, blog and video pages.